The former "Fixer Upper" star has penned an essay filled with tips to turn any nursery into a stylish and practical baby oasis. When it comes to wall art, Joanna has a few affordable ideas, including hanging the outfit Crew wore home from the hospital on a simple wooden hanger and letting small books serve as a big visual. "One of the things our kids were most excited about as they waited for Crew to arrive was the idea of reading to him," she continued. "I wanted to make story time a significant element in Crew's room, so I asked our local welder to create simple black metal bookshelves, which we hung on one wall in the nursery. Even though the book wall began as a sentimental display, it's also making a significant design statement. Since I kept the room in a neutral palette, each book is almost like its own little piece of art." Need more ideas? Joanna's got you covered. After sharing a recent photo of Crew's room on Instagram and getting a lot of questions from fans and followers, the home guru and "Magnolia Table" author later posted a screenshot of the post highlighting each of the brands featured in the room on her Instagram story. Whether you're designing a nursery of your own or simply want to infuse Joanna's signature aesthetic into any space, you're in luck. Continue reading to find exactly what she used in her nursery as well as a few of our budget-friendly picks to help you get the look! This gray blanket with pom-pom details is draped over Crew's Crate and Barrel crib, but the multi-functional piece could also work in a living room or folded at the foot of a bed! 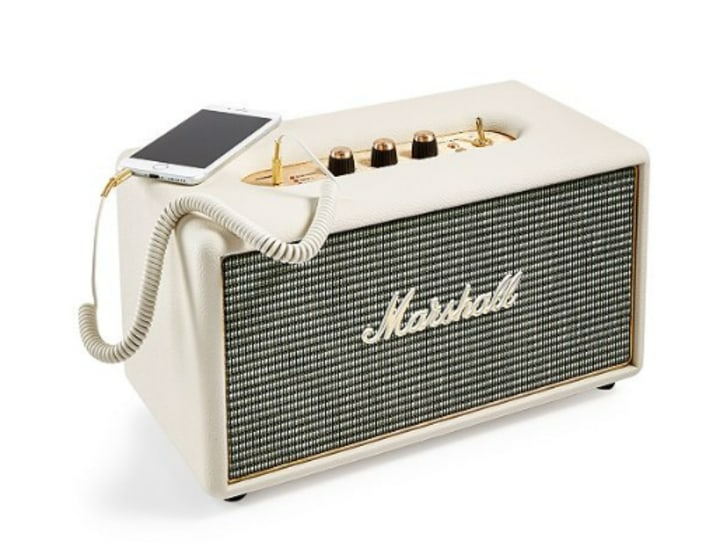 Editor's note: Amazon sells a similar version for only $29. 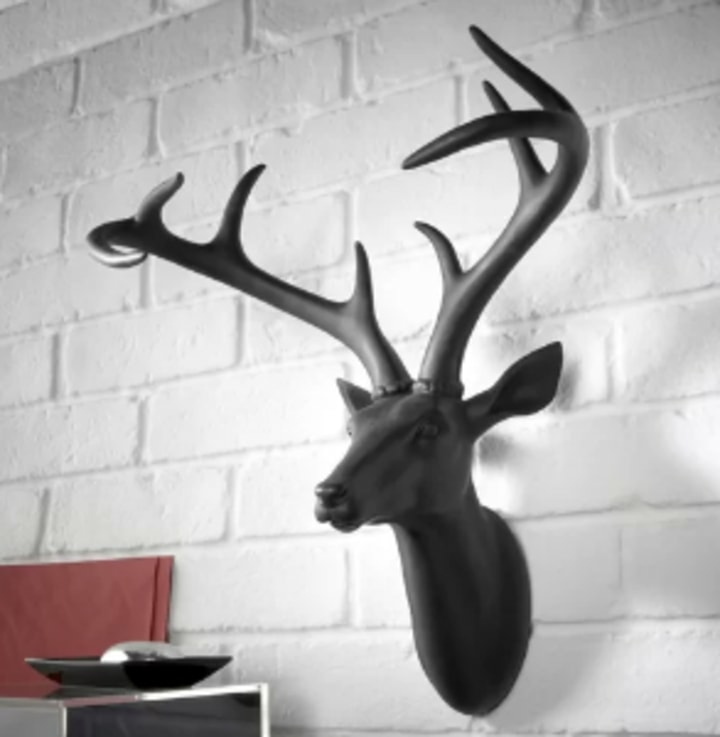 If you like how the couple used of a faux deer head hanging above the brick fireplace, you can get the look with this one, available at Wayfair. Amazon sells a more colorful version for $85. 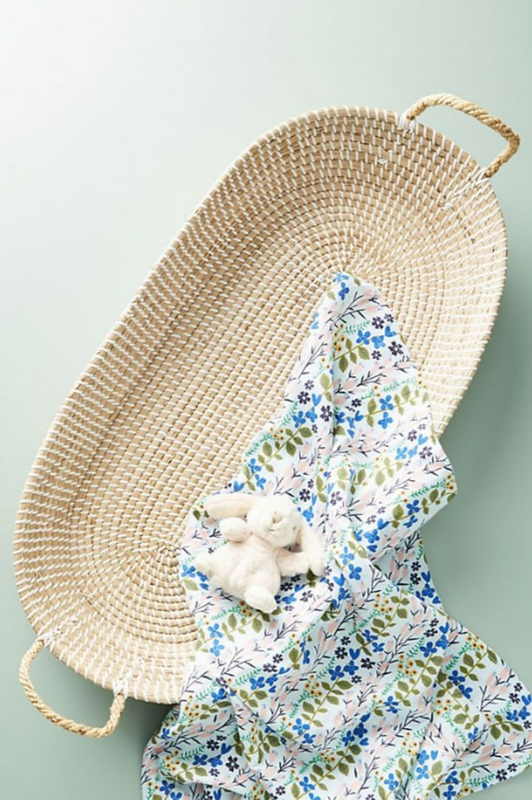 Rather than a bulky changing table, Joanna opted for this sweet wicker changing basket, which is both functional and attractive. 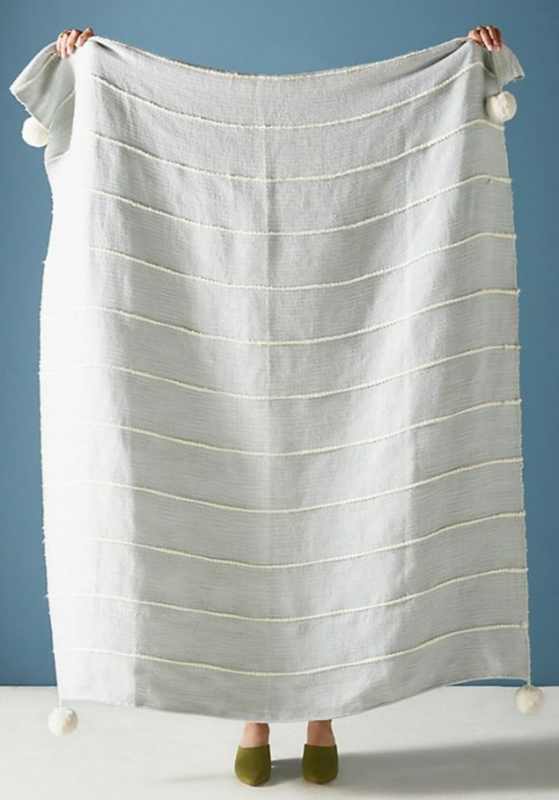 If you're looking for a similar style (but not for a baby!) see this less expensive option from Wayfair. 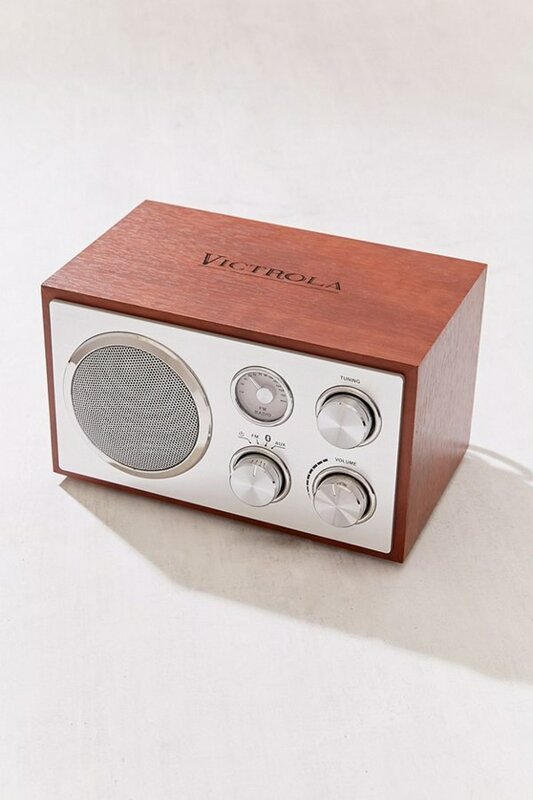 This retro-style speaker in a chic cream colorway is a prominent accessory atop the mid-century console table, which Joanna sourced on Chairish, a vintage furniture resale site. It costs a pretty penny, but here is a more affordable option from Urban Outfitters. 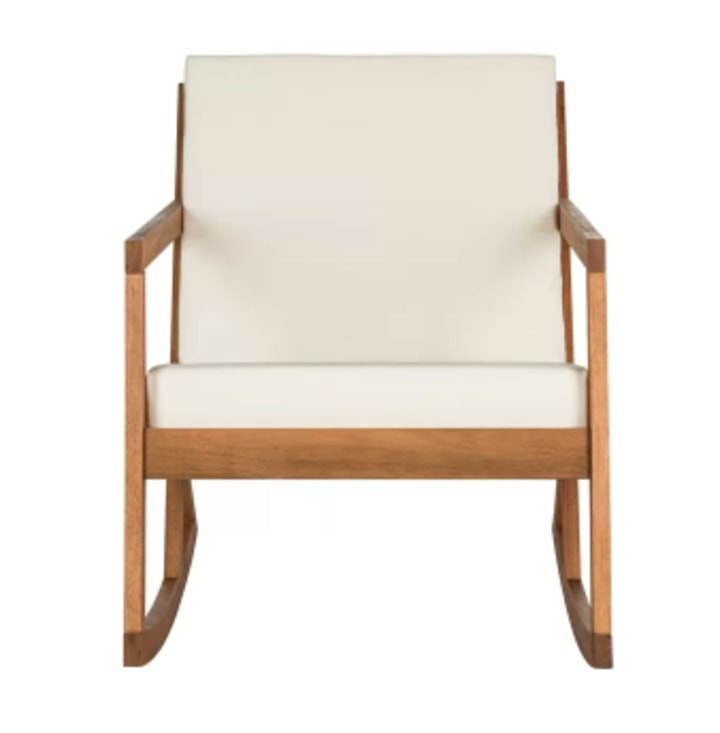 Joanna chose a stained wood and neutral-upholstered rocking chair from Joybird, which can set you back upwards of $700. You can achieve the look for less with this option from Joss & Main! 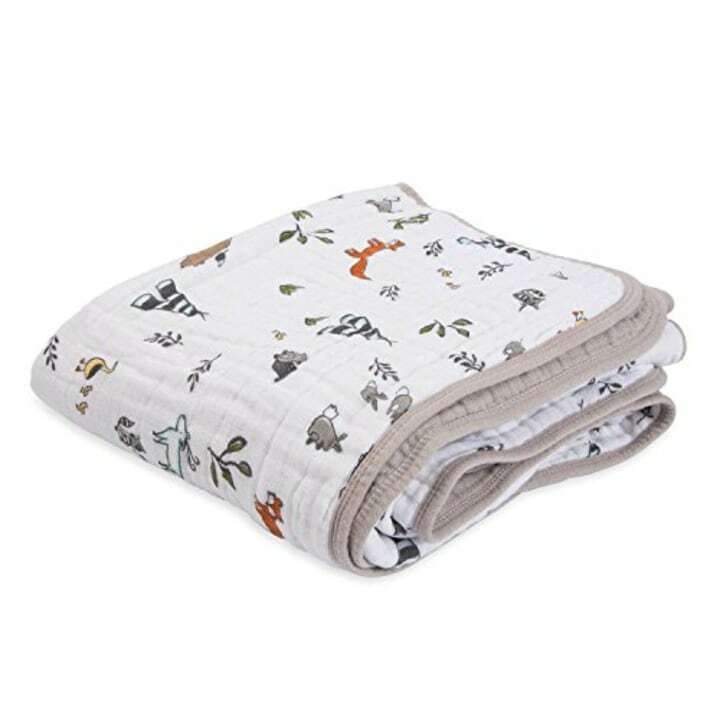 These sweet quilts and swaddle cloths from Little Unicorn are such a stylish way to bundle up a newborn. They come in dozens of patterns like florals, stripes, forest animals, cars and more! Joanna is also a fan of Cozys blankets and Solly Baby Wraps, which are seen strewn across the floor. 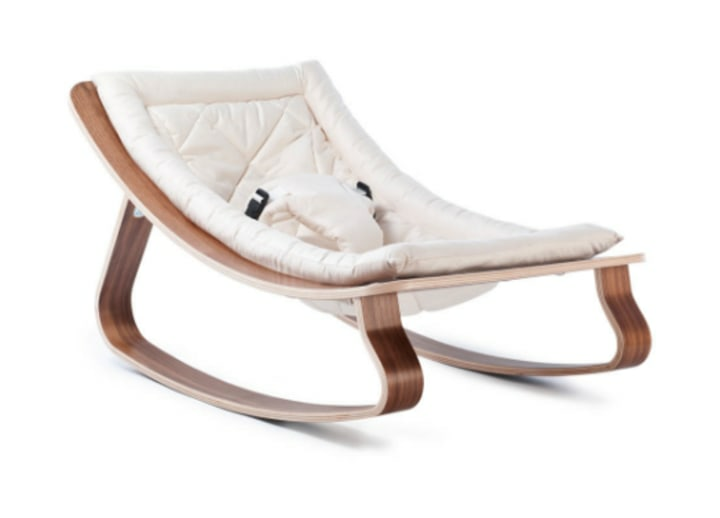 Baby Crew is seen snuggled up in this Charlie Crane Baby Bouncer, which pairs nicely with the wood accents throughout the space. 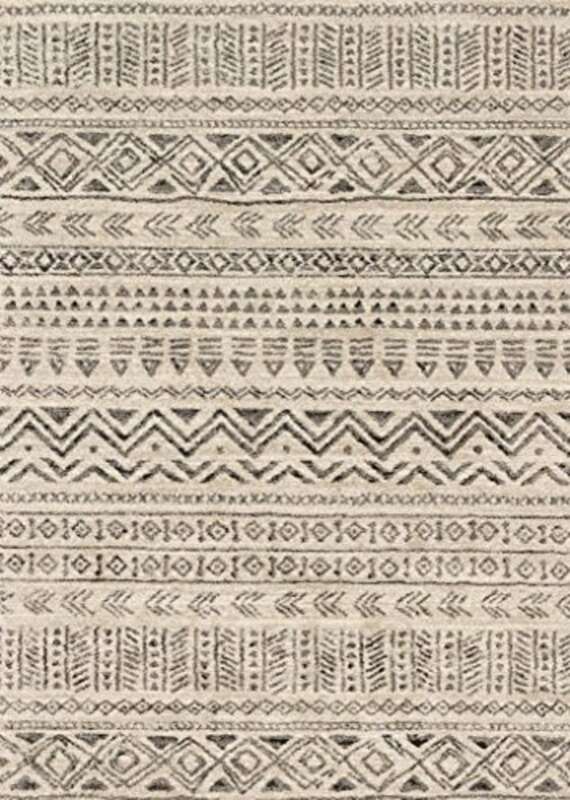 Loloi Rugs, Emory Collection - Stone/Graphite Area Rug, 5'3" x 7'7"
The rug is part of her Magnolia Home collection with Loloi Rugs, though the particular style photographed in the nursery has not yet been released.You can shop her collection here, as well as additional Loloi rugs on Amazon.